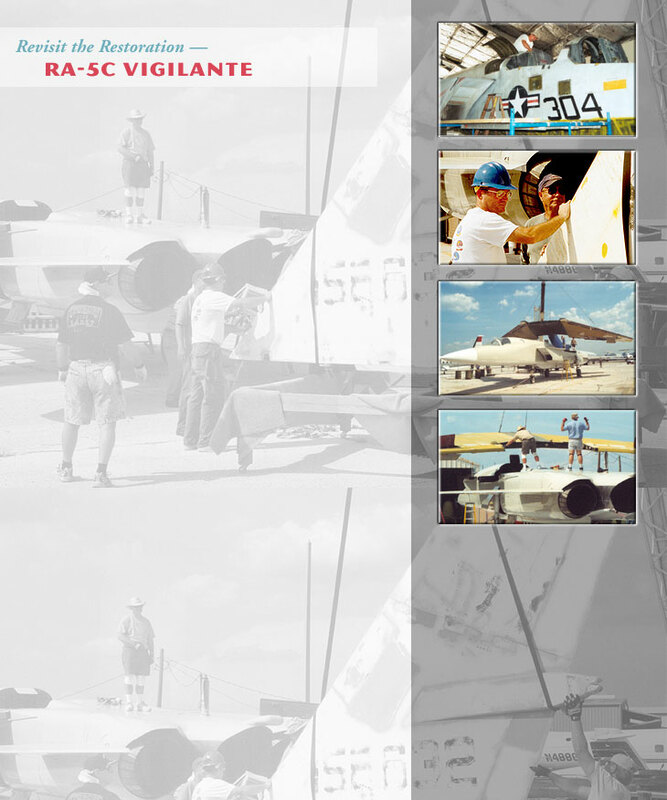 The Sanford Airport Memorial Committee made a request to the Navy for an RA-5C Vigilante for restoration and display at a Memorial park located in Sanford, at the site that was Naval Air Station Sanford. An aircraft was located at the Naval Weapons Station in China Lake, California. The Navy awarded the aircraft to Sanford and in November of 2001 a crew was sent to dismantle it and ship it back to Sanford. It was shipped to Sanford where it began an extensive restoration conducted by a dedicated group of volunteers. The restoration was completed in May of 2003 and the aircraft was moved to the new park where it is now displayed.